If you have been following us for a while you might know about the Miami Dolphins Web Weekend. The Dolphins started it 14 years ago as a way to reach out to all the different fan sites. I ran a Dolphins fan site many years ago and it only really lasted for a few months but I kept updating it just so the Dolphins would keep inviting me down to Miami. Luckily for me I did that because I met Michelle at Web Weekend and started watching games with her and her friends and soon Dolfans NYC was born. This year was a good one. Not only did the Dolphins win (four straight Web Weekend victories!) 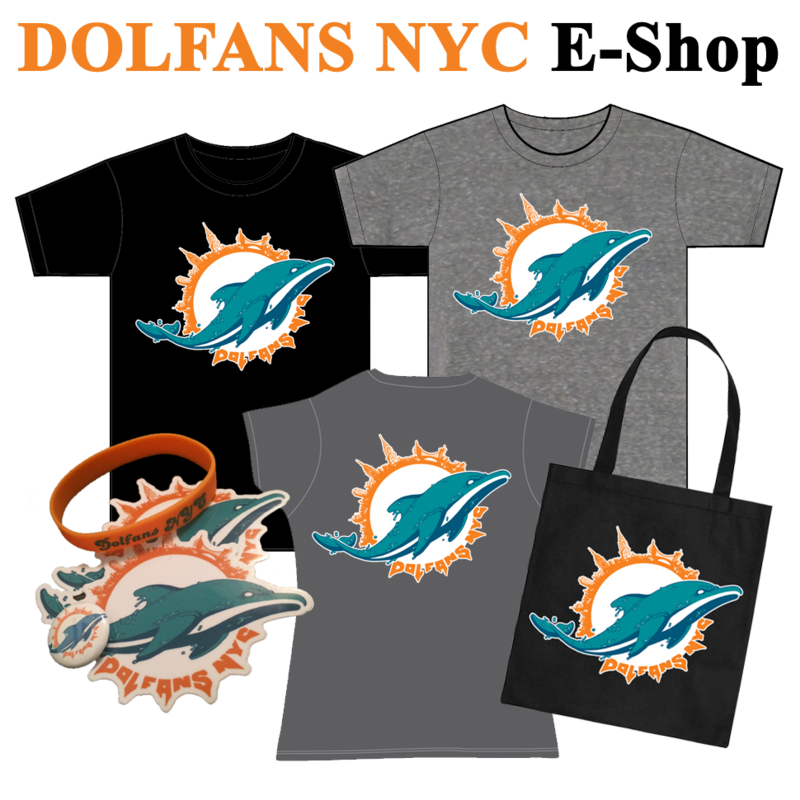 but Dolfans NYC once again won the Miami Dolphins Webby Awards for Community Oriented Site and Best Use of Social Media. The Community award is a big one and was named after Eddie Jones who was the president of the Dolphins and sadly died in 2012. Speaking of community, the reason we keep winning the award is because of all of you guys. The money we raise from the #MetLifeTakeover and our raffles and merch sales all go to charity. This weekend we were able to donate $7000 to the Miami Dolphins Foundation and $1000 to The Ross Initiative in Sports for Equality (RISE). We presented the check to RISE CEO Jocelyn Benson and we hope to work more with them since they are based in NYC. We had some pretty great guests at the Web Weekend as well. We had Kiko Alonso and Ja’wuan James speak with us on Friday and on Saturday we heard from Mike Tannenbaum and Dolphins legend Dwight Stephenson. We told Kiko about the donation we made to his hurricane Maria fundraiser and gave him a Dolfans NYC shirt. One of the most interesting moments was when Mike Tannenbaum told us that we would be surprised with how the linebackers would look on Sunday and they were really the difference in the defense this week. 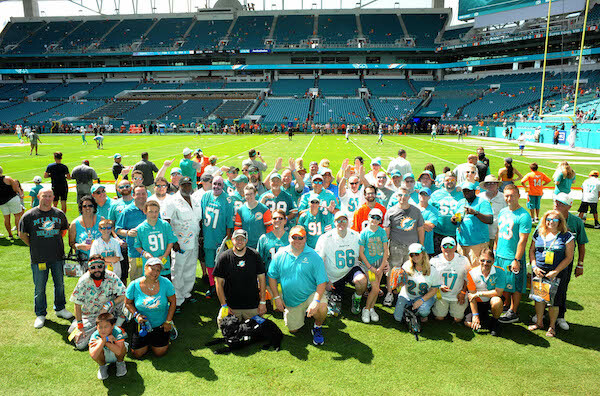 On Saturday morning we participated in a Miami Dolphins Special Teams event. We helped pack up backpacks for Feeding South Florida. They feed hungry kids over the weekend. It gives them three meals a day for two days while they aren’t in school getting their school lunches. The game Sunday was pretty awful on the offensive side of the ball but the defense was fantastic and we came away with a win. Plus the seats the Dolphins gave us were on the shady side of the field this year so it was way cooler than the #MetLifeTakeover. Might be my last Dolphins game of the year so it was nice to get a win. Oh, one more thing… we showed a rough edit of our #MetLifeTakeover video to the Web Weekend group and they seemed to love it. We went through the video and sent in our edits to the director so hopefully we will have that for you soon.